Rajesh Sreenivasan heads the TMT Practice at Rajah & Tann and has been advising clients on legal, regulatory and policy matters relating to technology, cybersecurity, data protection, telecommunications, electronic commerce, cloud computing, digital forensics and digital media for over twenty years. His clients include state governments and multinational corporations in the telecommunications, computer hardware and software sectors, social media, government linked companies and statutory boards. On the regional front, Rajesh has been engaged by the ASEAN Secretariat to facilitate a pan-ASEAN forum on legislative and regulatory reforms to collectively address convergence of IT, telecoms and broadcasting across all 10 members countries and by the Commonwealth Secretariat to co-lead an e-government capacity building exercise involving all member Caribbean nations. Rajesh is also the contributing author for the Singapore Chapter of Sweet & Maxwell’s Data Protection Laws of the World since 2010 and is a member of the Asia Advisory Board of the International Association of Privacy Professionals. On the corporate front, he sits on the Board of MediaCorp, Singapore’s national broadcaster. He has been unanimously cited as a leading lawyer in the TMT sector in Singapore by all major legal ranking agencies. In 2018, he co-founded Rajah & Tann Technologies Pte Ltd, the corporate arm of Rajah & Tann Asia that provides market leading tech-enabled legal solutions to clients. Rajesh has constantly been in the forefront of telecoms, media and technology legal and regulatory matters in the region as has been universally recognised by all ranking agencies as the pre-eminent practitioner in TMT law. His recent work covers cutting edge legal, regulatory and policy work in TMT areas such as Artificial Intelligence, Virtual Currency and other blockchain implementations, Data Analytics, Internet of Things (IOT), Telecoms and Media Over-The-Top (OTT) frameworks, Deliberate Online Falsehoods and online privacy and data protection models at a policy and legislative level. Rajesh has been working together with our Financial Regulatory practice addressing the burgeoning area of FinTech in legal and regulatory work spanning across Initial Coin Offerings to Virtual currency regulatory issues. Regionally, Rajesh has assisted the telecoms regulator in Brunei on formulating Brunei’s telecoms licensing regime which included a regulators handbook, telecoms licences and a competition regime. On the international front, Rajesh has been engaged by the World Bank to review IT legislation in Mongolia. The World Bank has also engaged his services to lead and conduct an electronic commerce legislative benchmarking exercise involving over 20 East Asian and Pacific nations and in 2006 he was engaged by the World Bank to assist in eASEAN advisory matters. Rajesh has been engaged by the Ministry overseeing ICT in the Kingdom of Lesotho, Africa to draft its ICT legislation. He was jointly engaged in 2007 by the World Bank and the UNDP to assist the Islamic Republic of Afghanistan in drafting its ICT laws and the national data centre regulatory policies. He has since completed regional ICT projects for the World Bank in Laos, Cambodia. Most recently in 2017 and 2018, he has been engaged by the World bank in the Philippines, Bangladesh, Guinea, Cote D’ Ivoire and Nigeria to advise on the drafting of new laws and policies to ensure that people have their basic right of personal identity secured through the mandatory issuance of non-discriminatory digital identity cards. Rajesh has in addition advised state authorities in Fiji and Canada on regulatory compliance and statutory interpretation matters. From a legal-commercial perspective, Rajesh has assisted leading organisations in Malaysia and Indonesia in drafting and negotiating complex IT procurement contracts, shared services and outsourcing arrangements. In the telecoms sector, Rajesh has structured complex IT and telecoms infrastructure procurement agreements based on traditional and PPP models and was the lead telecoms lawyer in the first MVNO arrangements in both Singapore in 2002 and in Malaysia in 2007 as well as lead counsel for one of the largest domestic submarine cables, the US$1.5 billion Palapa Ring project in Indonesia. He has often been engaged by numerous telecoms service providers and equipment manufacturers to secure telecoms regulatory clearance in Singapore and the Asia-Pacific region for over 10 years. On the public front, Rajesh lectures, presents papers, conducts seminars and discussions regularly at international forums on IT, digital media, digital forensics, telecoms and other issues related to the new economy. His views on IT and telecoms have been sought on numerous occasions by the local and international media. He has also written numerous articles and contributed book chapters highlighting the interplay between IT and the law in areas such as IT law, harmonisation of ICT legislation, telecoms law, biotechnology and digital forensics. Rajesh is named as a Leading Lawyer for TMT in publications such as Chambers Asia Pacific and The Legal 500 Asia Pacific since 2008. According to Chambers Asia Pacific (2018), Rajesh is “highly prized by multinational technology companies for his expertise in data protection, telecoms regulation and cybersecurity.” He has been further recognised as a Market-leading lawyer for IT, Telco & Media by Asialaw Profiles (2018). 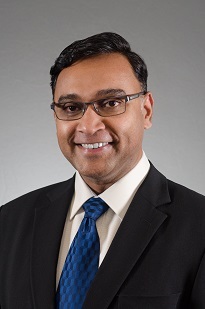 Rajesh was first recognised by Best Lawyers in Singapore in 2008, and has been consistently regarded by his peers through to the 2019 edition. He has been named the 2019 “Lawyer of the Year” for Information Technology Law in Singapore by the same publication as well. Rajesh has also been ranked as one of the world’s leading practitioners for Data in Who’s Who Legal (2018) and listed as a leading lawyer in International Who’s Who of Telecommunications Lawyers by Global Competition Review and the International Financial Law Review IT and Telecoms Survey. An international panel of lawyers selected Rajesh to be listed in the Guide to the World’s Leading Technology, Media and Telecoms Lawyers, a Euromoney Legal expert guides publication. Acted for various multinational corporation in addressing data protection compliance with various sectoral laws such as banking and telecoms. Assisted in the localisation of data protection compliance manuals for compliance with sector specific data protection legislation. Advised numerous clients on the creation of a compliance strategy for compliance with the new Personal Data Protection Act in Singapore. Working with our Malaysian Associate Office Partners at Christopher & Lee Ong on data protection compliance matters involving Malaysia’s Personal Data Protection Act. Compiling and advising on data protection compliance requirements across 10 countries in Asia Pacific for a major IT company. Advised numerous clients on OTT and IOT licensing models and successfully negotiated licence approvals in several ASEAN jurisdictions. Drafted the telecommunications services agreement for a US$1 billion telecoms joint venture between Virgin Mobile and Singapore Telecommunications for the provision of Singapore’s first Mobile Virtual Network Operator (MVNO) Service. Acting for the Palapa Ring Consortium (which consists of all 6 major telcos in Indonesia) as lead counsel for the tender to construct a US$1.5 billion domestic submarine cable which will ring all of Indonesia. Acted for Qatar Telecoms on all telecoms regulatory matters in its acquisition of a US$635 million interest in the holding company of Starhub Ltd (Singapore) and PT Indosat (Indonesia). Advised and drafted 3G infrastructure procurement agreements for Starhub Limited (Singapore) a major telecoms services provider in Singapore. Acted for Mediaring Ltd in successfully securing regulatory clearances pertaining to its attempted takeover of a Singapore based Internet Service Provider. Advised a major oil rig telecoms service provider on telecoms licensing issues and secured licences for its telecoms services in Brunei Darussalam. Advised a multinational telecoms service provider on the telecoms regulatory regime in Japan. Advised a major mobile telecoms services provider in Malaysia on the structuring of its MVNO legal contracts and on regulatory matters regarding Malaysia’s first MVNO service arrangement. Advised the Fiji Electricity Authority on regulatory issues concerning the provision of internet services through power lines. Advised a Singapore based Telecoms firm in drafting its cloud computing agreements and flagging the inherent legal risks in its proposed cloud computing legal infrastructure. Acting for Nokia Siemens Networks in structuring its legal infrastructure for proposed cloud computing solutions. Acted for Neustar Inc, USA as one of the vendors in a tender for number portability services to be provided to the Singapore Telecoms Regulator with regards to regulatory support and all sub-contract drafting and negotiations. Acted for Nokia Siemens Network, NTTWest in various aspects of their participation in Singapore’s Next Generation National Broadband Network (NGNBN) NetCo tender with regards to aspects of their procurement matters and telecoms regulatory support. Acting for Axia Netmedia Corporation as a lead consortium member in Singapore’s Next Generation National Broadband Network (NGNBN) OpCo tender with regards to all consortium procurement matters and telecoms regulatory support. Acting for Motorola Inc in drafting, reviewing and negotiating numerous telecoms infrastructure procurement agreements in several Asia Pacific nations including Thailand, Vietnam, Cambodia, India and Bangladesh. Advised Singapore Power Telecoms on power-line communications regulatory matters and numerous telecoms infrastructure agreements. Advised Apple Inc on various telecoms regulatory issues and telecoms licensing issues pertaining to the sale distribution and operation of its mobile devices in Singapore. Advised KDDI on the drafting and negotiations for the legal infrastructure of its data centre facilities in Singapore and on various regulatory issues pertaining to its international capacity in and through Singapore. Advised various online companies on provision of data centre services and voice over Internet protocol (VOIP) regulatory issues. Advised Internet service providers and telecoms services providers on interconnection and anti-competition matters and assisted in submissions to telecoms regulators in complaints against incumbents. Advised a major submarine cable provider and interested consortium members in reviewing and negotiating multiple cable landing party agreements. Advised on restructuring existing indefeasible right of use arrangements for a major submarine cable consortium member. Advised and guided numerous clients through the process of applying for telecoms licences for Facilities Based Operators (FBO) and Services Based Operators (SBO). Advised on regulatory requirements in relation to the provision in Singapore and Malaysia of telecommunications service using Local Multi-Point Distribution Service (LMDS) technology. Advised clients on corporate matters dealing heavily in technology, including joint venture agreements, strategic alliance agreements, partnership agreements and other memorandums of understanding. Reviewed and drafted specialist telecommunications resellers’ services agreements and indefeasible rights of use agreements. Engaged by the World Bank as a consultant firm to review the ICT laws of Mongolia in the areas of electronic transactions, electronic signatures and electronic government. Engaged by the World Bank to conduct a 23-country electronic commerce legislation benchmarking exercise and follow up recommendation report covering East and Central Asia and the Pacific Nations. Engaged by the World Bank to advise on eASEAN initiative by conducting a legislative benchmarking exercise on all ASEAN member countries. Engaged by the Kingdom of Lesotho, Africa to draft ICT legislation covering inter-alia, electronic contracting, electronic signatures, electronic government, cybercrime, data and consumer protection and domain name governance. Engaged by the ASEAN Secretariat to conduct multiple forums and facilitate the development of strategies for national policy approaches on the convergence of IT, Telecoms and Broadcasting regulations. Advised and negotiated wholesale and complex business process outsourcing (BPO) and information technology outsourcing (ITO) agreements for several financial institutions and technology companies in Singapore including transfer of significant assets and personnel in multiple jurisdictions including Singapore, Malaysia and India. Advised a major Malaysian financial institution on the drafting and negotiation of a multi-million dollars outsourcing agreement covering their entire IT services to a professional services firm. Advised a major Indonesian Financial Institution on the drafting of their entire suite of IT procurement and services agreements and policies for management of such IT agreements. Advised a major Indonesian Bank on the contract for acquisition, installation, support and maintenance of a new core banking system. Advised Apple Inc. on various regulatory issues pertaining to the sale and use of its portable devices in Singapore and on legal issues pertaining to digital media distribution issues. Advised the Energy Market Company, Singapore on the setting up of the entire legal infrastructure covering the provision of IT services to the company and the setting up of the Singapore Energy Trading market. Advised British American Tobacco Shared Services division on drafting and negotiating various global IT procurement deals exceeding GBP50 million in deal size with various major IT global vendors and outsourcing service providers. Advised Skype Inc on various issues pertaining to the provision of VOIP IT services in Singapore. Advised Amazon.com Inc on the introduction and use of the Kindle device in Singapore. Advised Amazon Web Services on drafting and negotiating various service agreements with IT equipment vendors, telecoms firms and data centre service providers and to allow for the commencement of cloud computing services from Singapore. Advised local and international clients as to the legal implications of the Electronic Transactions Act and other technology related legislation, including the Evidence Act. Notably, advised international clients as to the legal effects of digital and biometrics signatures. He has also advised clients on Internet regulatory and contractual issues. Advised clients on security issues in the electronic age. Specifically, advised both the public and private sectors including the then IT regulator in Singapore (National Computer Board) on public key infrastructure, specifically on international cross recognition of digital signatures and other forms of electronic security infrastructure. Advised numerous institutions of higher learning on all issues pertaining to technology and IP matters. These clients consist of both local and foreign institutions. In fact, he advised and prepared the documentation for the Region’s first on-line university. Advised and assisted clients in electronic pre-trial preparatory casework and regulatory compliance in storage of electronic documents. Advised numerous clients on IT supplier services, turnkey agreements, rollout agreements and other infrastructure (includes front and back end infrastructure) agreements for both domestic and international clients. Advised clients on and assisted in domain name disputes. He has also advised clients on digital crime including denial of service attacks, spamming, mail bombing and hacking. He has handled technology-based litigation involving software and hardware contract disputes, on-line services provision disputes, website development disputes and Internet defamation. Advised clients on matters pertaining to website hosting and customisation. Advised clients as to Application Service Provider (ASP) agreements. Advised clients on sponsorship, branding and affiliation agreements. Drafted electronic contracts for domestic and international on-line transactions, involving B2B, B2C, B2B2C, C2C, C2B2C and G2C. Advice in this area also includes advice pertaining to the installation of implements needed to legitimately conclude such on-line contracts. Advised on and drafted privacy policies for international clients that engage other parties in the United States as well as members of the European Union. Advised clients as to all issues relating to the creation of a website and has successfully assisted clients in navigating the legal and procedural hurdles involved from domain name registration to content legislation. Advised on and drafted fulfillment agreements which include multi-mode transport contracts, static storage facilities and other forms of fulfillment services. Advised on use of encryption and authentication technologies in Singapore. Advised on provision of on-line gaming services. Advised clients in setting up on-line auctions, reverse auctions and other consumer-driven commerce portals dealing with a diverse range of goods from financing products to real estate. Advised and assisted banks and other financial institutions in their move towards the digital age, namely, drafted on-line contracts for banking clients setting up on-line banking operations as well as other innovative electronic financial instruments including banks such as UOB, OUB and ICICI Bank. Advised in the setting up the full legal infrastructure of an international online gaming website dealing with betting exchange, sports gaming and online casino facilities from start-up to launch. Advised numerous clients and assisted in setting up the legal infrastructure for distribution of digital media on-line including songs, ringtones, wallpapers and video. Editorial Board Member, Digital Review of Asia Pacific 2009-2010, Orbicom, UNESCO.